We have a tremendous amount of computer power. - We update and house over 400 mailing lists. We have four full-time computer programmers. - With a combined direct marketing experience of over 50 years, our accomplished team is proficient in all areas of direct mail data processing. We offer Merge/Purge Dupe elimination, NCOA, Zip+4, List maintenance, Data entry and Custom programming. 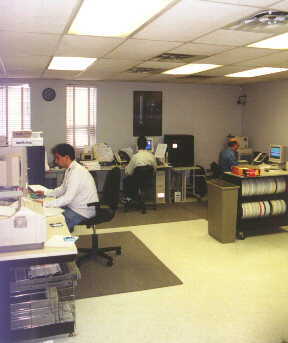 We offer sheet and continuous form laser personalization. 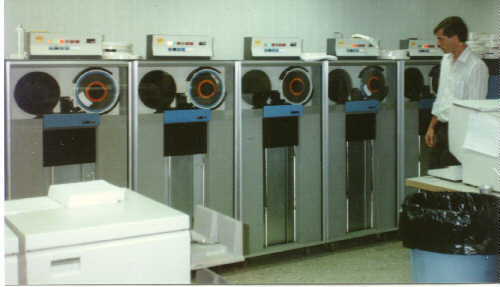 Pictured is our Oce/Siemans 2140. 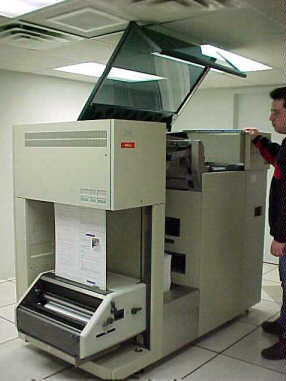 At 300 DPI this printer can produce up to 200,000 letters per day. 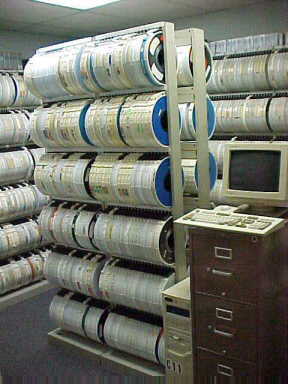 Greater Data & Mailing has a backup of every job we have ever run. 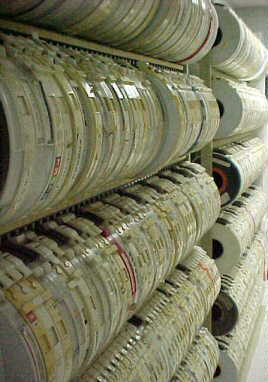 Our massive tape/disk library contains over 6,000 tapes and high-capacity storage drives. 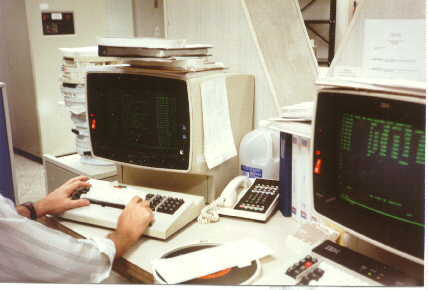 Using our computer network with custom written software, we can look up any job and reload the data in minutes. All master files and system files are copied and kept off-site for quick disaster recovery.